Inventory adjustments are increases, decreases, and revaluations made in inventory to account for theft, loss, breakages, and errors in the amount or number of items received. RepairDesk doesn’t let you enter a transaction if your inventory item's quantity or value falls below zero. You may need to make an adjustment in this situation. Additionally, you may need to adjust inventory following an inventory count. 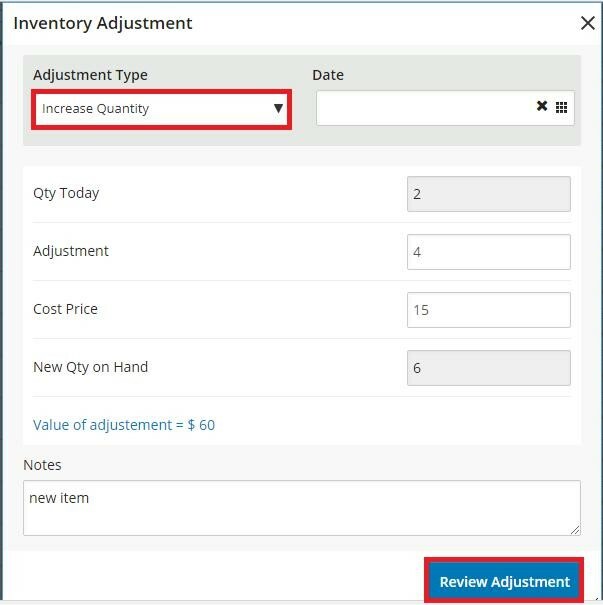 Inventory adjustments only apply to track inventory items. 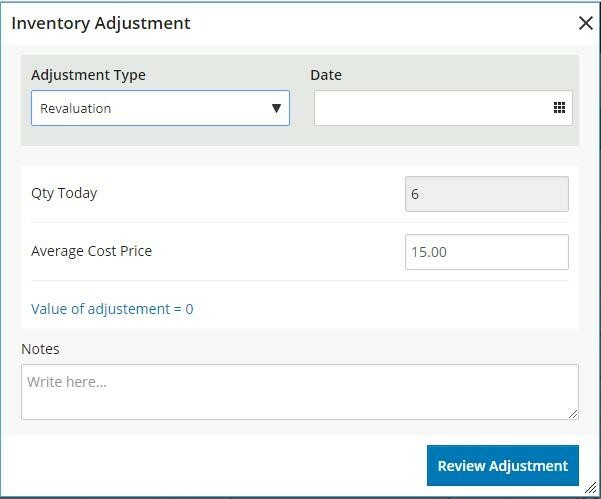 If you adjust an inventory item's quantity, the total value will be automatically adjusted. If you need to decrease an inventory item's quantity and its value, do the 'decrease quantity'adjustment first, then the revaluation adjustment. If you want to change something else about the tracked inventory item, for example, its description or price, edit the item instead. Click to know How to add inventory item. 1. 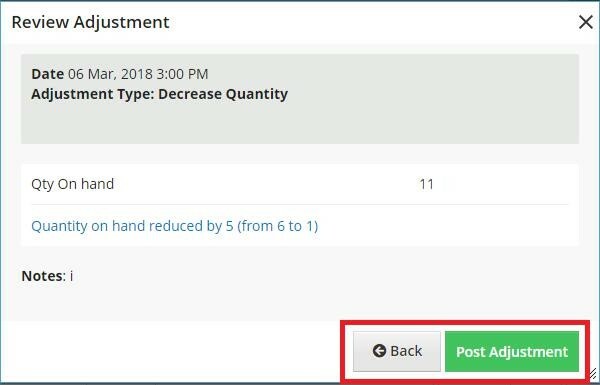 If you want to add the quantity or decrease the quantity you need to press action button and click inventory adjustment. Or just click on hand or cost field it will take you to adjustment window because you cannot enter cost and quantity manually. 2. Clicking on item adjustment a new window will appear, there you will have to select which adjustment you want to do. Select increase quantity, by default current date, will be displayed, enter the increase in quantity in respective column add the price of the item. Notes are mandatory, without notes data will not be saved. Click review adjustment after adding all the data. Here you can check that either the data you have entered is right or wrong if data is correct the press post adjustment. Whenever any item is lost or breakdown and you need to update inventory accordingly then you can use negative adjustment. While decreasing the quantity you don’t want to add cost as it will get the existing cost. The decrease in quantity will be done as per valuation method selected. E.g. if LIFO is selected then and we perform negative adjustment it will decrease as per LIFO method. Last added item will be decreased. 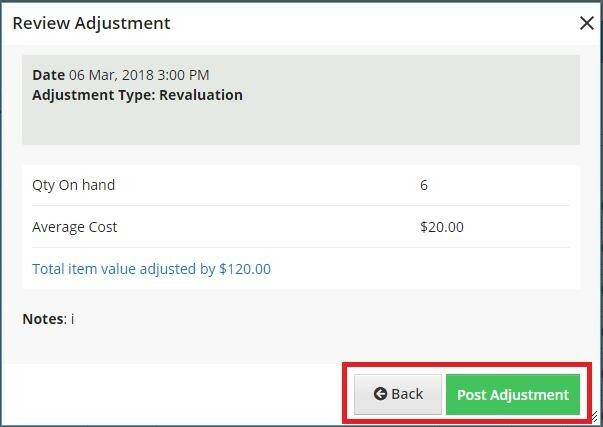 Click on review adjustment to view the adjustment done, you can either post adjustment or just go back to previous window. In some case you need to change the cost price of all the items, you will use revaluation. Here you can only add cost for the items and it will apply to all the stock of that particular item. Despite the fact which valuation method you are using it will revalue all the quantity on particular item. Click on review adjustment, if it’s correct to proceed to post adjustment or go back. 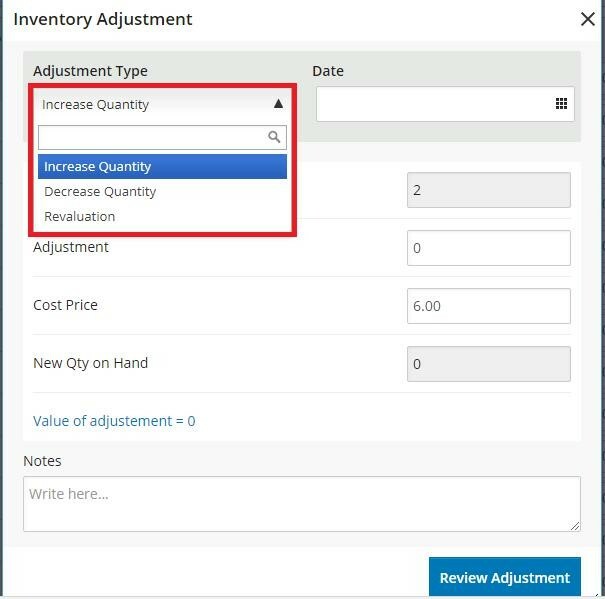 Note: In case of inventory count when user will increase or decrease quantity as per count, its adjustment entry will be posted in the system. Follow the knowledge base article from the user voice for inventory count. Q. How inventory adjustment is carried in case of inventory upload? 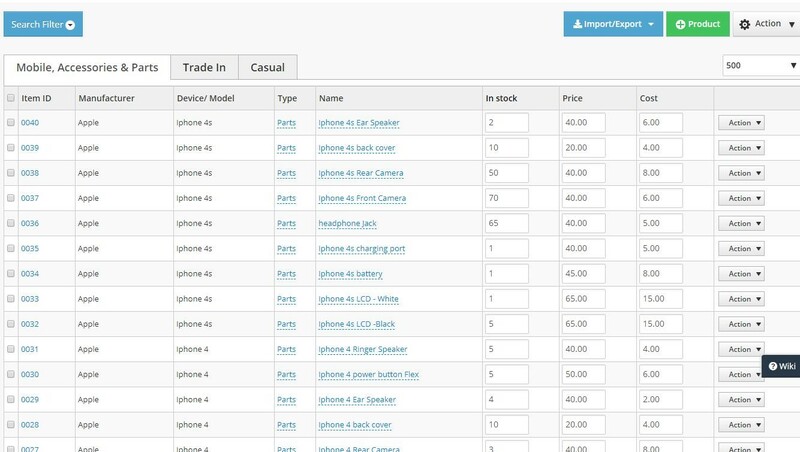 A. inventory import process will be the same , in order to know click on import process . But the upload sheet is update as per adjustment . you need to consider following things while importing inventory. 1.Add new quantity in "new adjusted quantity"
3.Add valuation method, if not added system will automatically mark that item as weighted average. 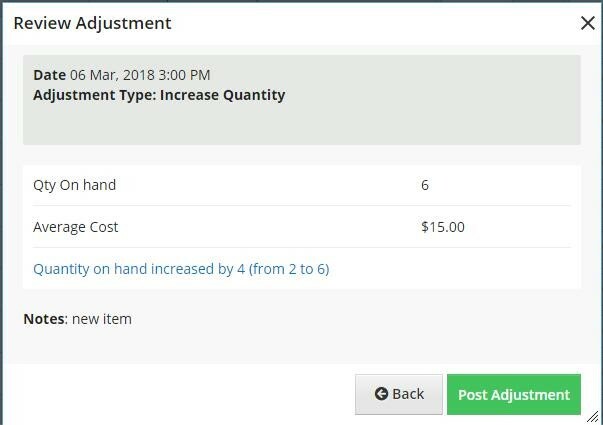 Q.how can i add adjustment from pos is the product is out of stock? Note: negative adjustments and revaluation are not allowed through POS. Q. Can I add a negative adjustment for a serialsed item? A.yes you can add negative adjustment in case of a serialized item but on one condition that there is no on-hand serial available on hand at the time of making the adjustment. if serial exist system will not allow the user to add a negative adjustment for that item.